Elite Blog Academy® is an intense, in-depth blogging course that can and will take your blog to the next level. It starts with the premise that you have already set up at least a basic blog and understand the fundamentals of blogging. The doors for Elite Blog Academy® are currently closed, but that doesn’t mean you can’t get started on your blogging journey right away. In fact, if you are just starting out, you probably wouldn’t be ready for EBA® just yet anyway! If you are interested in blogging for profit, or would like to be ready to enroll in EBA® the next time our doors open, the following steps will help you get started. Elite Blog Academy® is meant to be a hands-on course, which means in order to benefit you will need to have a real live blog to work with, not just an idea for one. If you haven’t already, you will need to set up your self-hosted blog on WordPress. This is pretty easy to do, especially when you use the detailed step-by-step tutorial found HERE. Furthermore, if your blog is currently hosted on Blogger or WordPress.com, I would strongly recommend that you make the transition to being self-hosted on WordPress, and do it sooner rather than later. The best feature of WordPress is that there are an almost infinite number of plugins available to install that can help you do almost anything on your blog, from fighting spam to building your email list to keeping track of your analytics and helping you easily add advertising or affiliate links. Once you’ve set up your blog, it is important to get comfortable with the process of blogging. Don’t worry about creating the perfect blog design just yet, but instead work on writing blog posts and creating content for your site. Try to figure out what you feel comfortable writing about, how often you would like to write, as well as whether you think the topic you picked is a good one. Once you’ve got your blog set up, you will need to set aside time to work on it! Give yourself at least 5-10 hours per week to work on writing blog posts and creating content. Don’t worry at first about getting readers–just worry about finding your voice, discovering exactly what you most want to write about, and about making sure your content rocks. Once you are ready, and once the doors have opened again, Elite Blog Academy® can show you, step-by-step, exactly how to refine your message, grow your audience, monetize your platform, and build your business. To join the waiting list, visit the EBA® website by filling in the form below. To join the waiting list for our next session of EBA® and be notified as registration opens, please fill out the form below. 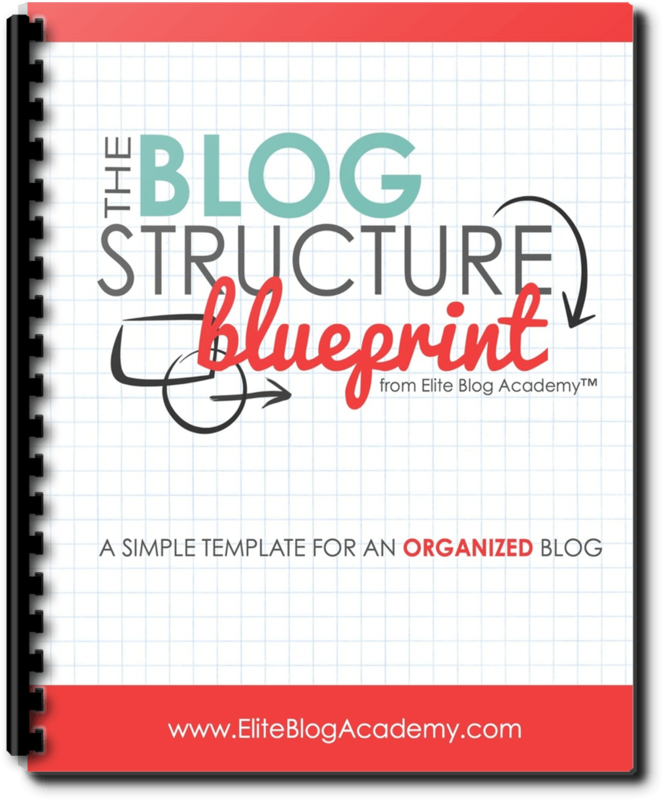 When you join, you will also receive instant access to our free Blog Structure Blueprint, as well as receive periodic updates and blogging tips from our team.